Pastor John Roy was saved by his mother's bedside at age 11. He had the privilege to grow up in a pastor's home with parents that loved the Lord and raised him under a godly influence. After completing high school, he attended West Coast Baptist College in Lancaster, California. In 2002, while on a singing tour for the college, Pastor Roy surrendered to full time ministry. In 2004, he married his lovely wife Rachel and became the Youth Pastor at Cornerstone Baptist Church. After six years in Youth Ministry, the Lord allowed Pastor Roy and his wife to start a singles ministry. In 2016, he was voted in to be the next pastor of Cornerstone and in January of 2017, John was ordained into the ministry. Upon the transition of Pastor Randolph to Pastor Emeritus on November 12, 2017, Pastor Roy became the new pastor of Cornerstone Baptist Church. Pastor and Mrs. Roy have five children: Adrianne, Hayden, Micah, Brooklyn, and Bryce. Pastor Roy's life verses are Psalm 40:1-3. "I waited patiently for the LORD; and he inclined unto me, and heard my cry. He brought me up also out of an horrible pit, out of the miry clay, and set my feet upon a rock, and established my goings. And he hath put a new song in my mouth, even praise unto our God: many shall see it, and fear, and shall trust in the Lord." Terry L. Randolph was born and raised in Jackson, Michigan. In 1969, he enlisted into the United States Air Force. During his enlistment he served in the Philippines, TDY in Viet Nam, and two tours in Thailand. While stationed at Clark Air Force Base in the Philippines, he was saved and baptized under the ministry of Veteran Missionary, Howard Quinlan. Terry graduated from Pacific Coast Baptist Bible College in May 1978. In 1979 he started the Globe Bible Baptist Church in Globe, Arizona. In 1982 he moved to Phoenix and started Cornerstone Baptist Church. Pastor Randolph served as President of Pacific Coast Baptist Bible College and President of Heartland Baptist Bible College, from December 1994 through May 1999. On November 12, 2017, Pastor Randolph transitioned from Senior Pastor to Pastor Emeritus, leaving the care of the work he started in the capable hands of his son-in-law, Pastor John Roy. Pastor Randolph has been married for over 45 years to his wife, Mickie. The Randolph's have been blessed with three beautiful children, and nine wonderful grandchildren. Pastor Randolph's life verse is Galatians 6:9. "And let us not be weary in well doing: for in due season we shall reap, if we faint not." Sam Kerch was born into a Christian home in a small town in central Illinois where he and his family attended a local Baptist Church. At the age of 5, his dad led him to the Lord in his living room. In 1982, his parents relocated to Phoenix, AZ for health reasons. They became charter members of the newly organized Cornerstone Baptist Church. Since joining, Sam has been active in the music ministry playing instruments and singing. He met his wife, Chrystal, in the youth group at Cornerstone. They were married in 1995. They have 3 children, Noah, Emma and Tyler. In 2011, he began teaching the couples class at the church. It was through study and working with the couples in the class that God began preparing his life for ministry. Sam spent 20 years working as the Controller for a payroll software company in nearby Scottsdale. He holds undergraduate degrees in Finance, a Masters in Accounting and Finance and is a practicing CPA. In 2017, God led him into full-time ministry as the Associate at Cornerstone Baptist Church. His life verses are Romans 12:1-2, I beseech you therefore, brethren, by the mercies of God, that ye present your bodies a living sacrifice, holy, acceptable unto God, which is your reasonable service. And be not conformed to this world: but be ye transformed by the renewing of your mind, that ye may prove what is that good, and acceptable, and perfect, will of God. D.J. 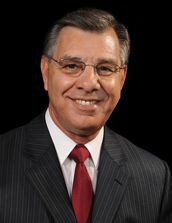 Hernandez was born in Tucson, AZ and began attending New Testament Baptist Church where his parents were saved in 1994 under the preaching of Dr. J.C. Joiner. His dad led him to the Lord in their living room when D.J. was 6 years old. In 2008, he attended Heartland Baptist Bible College in Oklahoma City, OK. There he met Noelle, and they were married 7 months after graduating in 2012. After graduation, D.J. took a staff position in Ponca City, OK under Pastor Ken Newport. 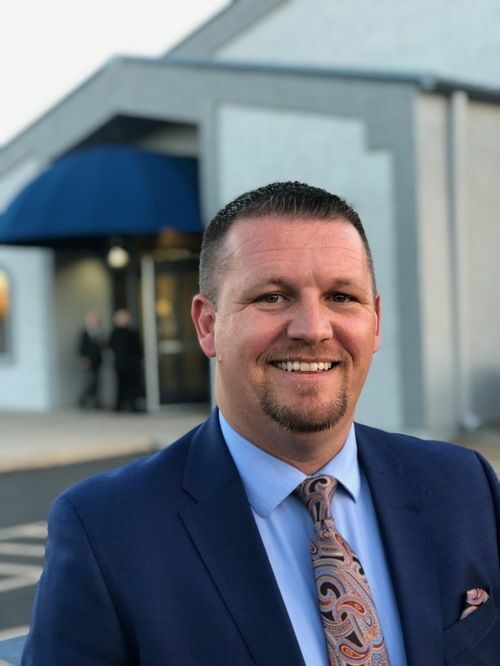 While on staff there, he continued taking classes in the Heartland Baptist Graduate School and graduated with his Master’s degree in May of 2014. The Lord then saw fit to move D.J. and Noelle to work on staff at Cornerstone Baptist Church in September of 2014. They have been blessed with five children: Nicolle, Judah, Jessalynn, Faithlynn, and Macy. His life verse is Ephesians 3:20-21, “Now unto him that is able to do exceeding abundantly above all that we ask or think, according to the power that worketh in us, Unto him be glory in the church by Christ Jesus throughout all ages, world without end. Amen." Blaise was born and raised in Lakeside, MT just outside Glacier National Park on Flathead Lake. Her family was one of the charter members of Bible Baptist Church under the leadership of Pastor Nathan Bemis. Blaise was led to the Lord by her mother at the age of four, but received assurance of her salvation at the age of seven and was baptized. She feels very blessed to have grown up in a Christian home and enjoyed working in the many church ministries with her family for 34 years. She and her husband Pete, first met at Bible Baptist Church, but actually worked their Law Enforcement careers in the Flathead Valley. They married in 1996, and have one daughter, Hailey. Blaise and Pete had been introduced to Cornerstone Baptist Church earlier at a Marriage Conference. Upon moving to the valley in 2015 they knew that Cornerstone would be their new home. Blaise joined the Cornerstone Staff as one of the secretaries at the church in 2016.